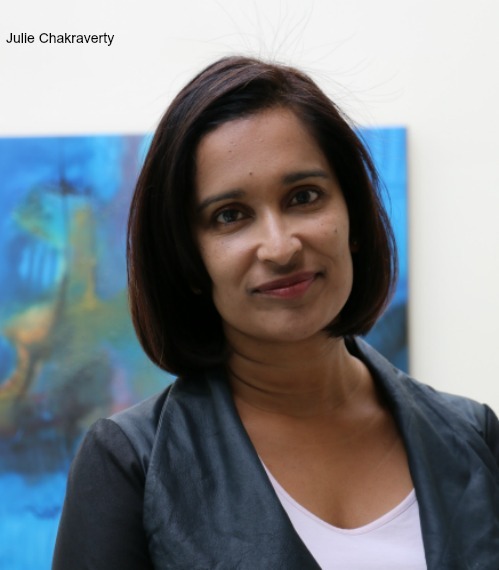 Julie Chakraverty – Inspirational Woman! Julie Chakraverty may not be a very familiar name to you yet unless you are a devotee of her latest project rungway. (More on that later). Julie had the option to pursue a career in music, specifically piano, but she chose instead enter the male dominated world of banking. Success defines her, and she’s the Senior Independent Director of Aberdeen Asset Management so I’m really pleased to have the opportunity to ask her about her career to date. Julie also featured in Management Today’s Top 35 Women under 35’. Jane: Julie, can you tell us a little about your childhood, where you were brought up, and where you think your drive to achieve comes from? Julie: I grew up in north London, the only child of hard-working parents who came over from India in the 1960s. My father built up a successful sound recording business, and my mother was a microbiologist for the Public Health Laboratory Service. They definitely instilled very high expectations and work ethic! A few years ago you made a significant switch in your career, I think you have described it as ‘reinventing’ yourself. What prompted that? That’s a good question. Part of it was the change in outlook that happens to many people when we become a parent. Part of it was a strong desire to try new things, take different challenges and to really widen my network and exposure to new ideas. You’re on the record as saying you have found in your experience that the banking world is a meritocracy. “… it’s business challenges, not gender challenges, that matter.” You’ve clearly had some positive experiences. If you could introduce one change, perhaps a piece of legislation or a cultural change to speed up the creation of gender balance of work, what would it be? As a former Remuneration Committee chairman for an insurance company, I do see benefits in new legislative requirements like mandatory gender pay reporting – what gets measured gets done. But these are not a substitute for cultural change, with companies thinking about people with a much more long term view. What could a 20 or 30 year career trajectory look like for younger woman? How could we map out a series of challenging and ambitious paths that embrace all the changes she may need – from stretch assignments, mentorship, opportunities to show early leadership, right the way through to when she might appreciate a role that allows for super-flexible working or even a complete career break. What tools will we use to stay in touch over that period and support her to come back? This sort of mindset and supporting actions can work wonders if we want a material improvement. Rungway is your latest project and you’ve recently launched it on the app store and GooglePlay after a 5-month beta test (which I enjoyed being on by the way!) Can you tell us first what it is, and what prompted you to launch it? Rungway is a community – a way of reaching new people and gaining fresh perspectives from beyond your usual circle. People post questions, either publicly or anonymously, on a wide range of topics, from office politics, work-life balance, dealing with health issues at work, to a funny story from their day. Then they are matched by an algorithm with people with relevant experiences, who may understand what they’re going through. People value the personal experience of 1-to-1 conversations, both as helpers and those needing advice. I’m a regular provider and seeker of advice myself. I created the app after noticing it typically takes weeks to get a face to face meeting in people’s diaries. I was convinced there had to be a digital solution for sharing fast, bite-sized advice – the “virtual” grab a coffee! So I formed the company and built the app. The response so far has been fantastic. You make that sound so easy and I am sure it was’t. What are your ambitions for Rungway? Julie: I want rungway to become the “go to place” when you need help, feel self-doubt, or worry that you just don’t fit in at work. There are so many people out there with years of work and life experience, but it’s not being utilised. The rungway app matches these people together, and will help reduce workplace stress. I’ve enjoyed so many highlights, as both an executive at UBS and then getting my non-executive roles with fantastic companies. I’m most proud of creating things – my portfolio product “CreditDelta” won innovation awards for many years. Now launching rungway and seeing people with problems being helped by others that they would never have had the chance to meet – that certainly is a great feeling. What’s next for you, what ambitions do you have for the future? I’d love to create more work-life balance but I’ve been saying that for a long time! The rungway app will be keeping me very busy for the forseeable future while we grow the user base and product features. If you could share one piece of wisdom or advice with us, what would it be? Be more ambitious than you feel comfortable with. Anyone with ideas and drive can solve really big problems if they believe in themselves. Julie, thank you. I’m so pleased to be be able to let Changing People readers about Rungway, and the extraordinary woman behind it. You’re a true powerhouse of energy and an inspiration. You can download rungway at rungway.com You can also follow Julie on her personal Twitter and @rungway Oh, and if want to trial the app within your company, (recommended) simply email groups@rungway.com. At the time of writing I think we have just 2 places on our London RenewYou course! All details are here.